Do you have a story to tell about your favorite trip, and what you learned from it? Maybe you learned how fish breathe underwater while visiting an aquarium? Perhaps you experienced how different it is to live in France while visiting Paris with your high school French class? How about the time you learned Canadian history while traveling to one of the country's national monuments? Students who write an essay describing what they learned and how they were impacted by travel could earn a scholarship of up to $1,500.00 USD! The other top four essay entries will also receive a cash scholarship of $1,000.00 USD! The SYTA Youth Foundation offers scholarships to students who use their creativity to compose an article or speech that illustrates a student travel experience. 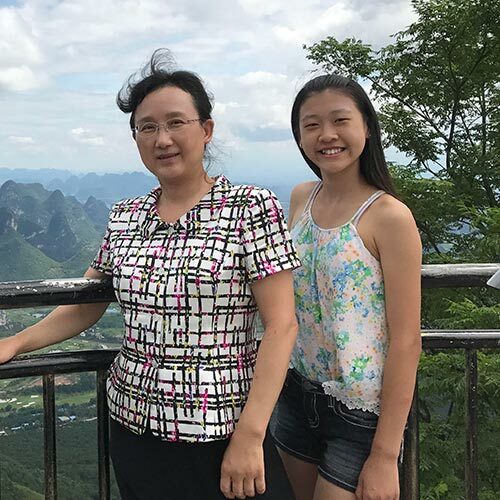 Congratulations, Jennifer Xiong from Plano, Texas, for being the 2018 Ripley Hunter “World is a Classroom” Essay Contest winner and to our finalists for a job well done! A $1,500.00 USD scholarship and a commemorative plaque will be awarded to the author of the winning essay. The winner will be invited to read the article via phone link during the SYTA Youth Foundation Luncheon at the SYTA Annual Conference in Birmingham, AL on Sunday, August 11, 2019. Essays in 2nd through 5th place will also receive a $1,000 USD scholarship. The prize winning essays will be featured in the Teach & Travel magazine. A panel will judge the entries based on the criteria of legibility, sincerity, creativity, and content. Any student who is currently enrolled in a secondary public or private academic institution (grades 9-12) may submit an entry through the online form below. Article length should not exceed 525 words. You can not begin an online application, save changes, and return later to complete it. Changes will not be saved to an application. Once submitted, an application cannot be changed. If you need to make changes to your submitted application you will need to notify SYF staff. No purchase or payment of any kind is necessary to enter or win this contest. Only one entry is allowed per person. Multiple entries will not be accepted, and could result in disqualification. Employees of SYTA, Interel, SYTA member companies, immediate family members, business partners, contest sponsors and contest judges are not eligible and may not participate in this contest as an entrant. Entries must be received by the deadline. Income and other taxes, if any, are the sole responsibility of the contest winners. This contest is subject to all federal, state, and local laws. Void where restricted or prohibited. All entries become the property of SYF and will not be acknowledged or returned. SYF reserves all publication rights thereof. Acceptance of prize constitutes consent to use winners’ names for editorial or publicity purposes without further compensation, except where restricted or prohibited. The winner may be required to sign an affidavit of eligibility and liability release, which must be returned within 21 days or an alternate winner, may be chosen. The 2019 application period will open February 3 - April 30, 2019. The winning essays will be notified the week of June 3, 2019. For Questions, please feel free to contact us! Watch videos from past recipients and read their winning submissions below!